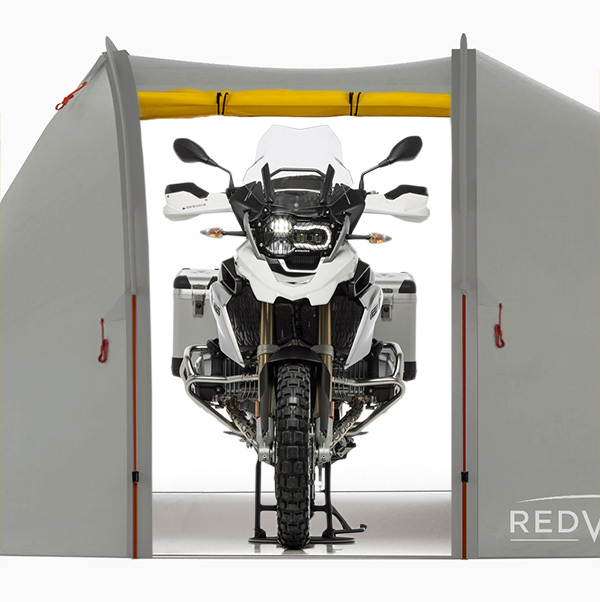 The reasons for choosing a Redverz motorcycle tent are well established. The impeccable design performs like mad in all kinds of weather and affords a level of comfort you never thought possible. If you've been sitting on the fence waiting for a new color or want to easily find your tent in a sea of our popular green Atacama’s, the moonscape model is for you. Designed specifically to give a brighter tent option, inside and out, the new Atacama color blends in seamlessly in sand and desert surroundings and conversely stands out a bit against lush wooded landscapes and rolling hills. As a design team, when you've far surpassed the critical performance standards, there's a bit of wiggle room to have some fun with the options, like color. The new look is sleek, a perfect blend of classic gray and optimistic gold, but don't be fooled - it’s still going to knock the snot out of all that wind and rain in the forecast. When camping off a motorcycle, even as minimalist traveller, you have a ton of gear. “Not me,” you say? Take off your helmet, riding boots, pants and armored jacket and see how big that pile is. If you are spending the night in anything less than a 2 person tent this gear either stays outside or it comes in leaving you with little room to lay back and spread out. Add a second rider and their gear to the mix and you'll feel downright claustrophobic. When that perfect, cloudless day you set out in turns into a raging, torrential downpour the realization hits, you need shelter. It's crystal clear at this very moment, in the dry spacious garage that your investment in the Atacama Expedition Tent has really paid off. Stand Up Inside. Packs to 21" x 10" and Weighs 14 pounds. 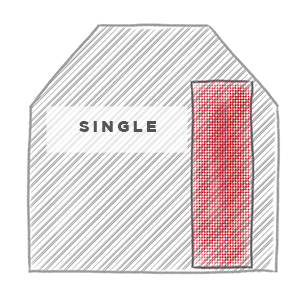 Free Shipping On Tents in the Continental US. The Atacama is the third generation of our original, patented motorcycle tent. The unique garage design birthed an entirely new tent genre back in 2008, a class of tents which had motorcyclists and their bikes clearly in mind. Others have attempted to copy the design, but we stay out front and constantly push the boundaries of luxury and functionality, designing gear that meets the needs and wants of our customers. Ignore the gargantuan garage for a moment. We know....it's so spacious. Focus instead on the sleeping area. This is designed for 1, 2 or 3 campers, you decide the ideal set up. Real world - how big is the bedroom? 1 Up? Think twin bed XL with a bed side camp chair and your riding gear generously spread about the room. 2 Up? Full Queen size bed with ample space either side for your gear especially with your own unique entry doors to enter and exit. 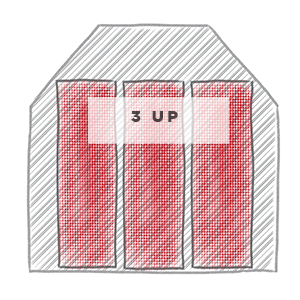 3 Up? Pack it in. Still plenty of room for three pads, but some of your personal gear - especially those stinky socks and boots - are going into the garage. Heck, if you're are using the garage for additional campers throw a garage ground sheet down and go ahead and invite five of your friends to sleep over. Have them join you with their camp chairs to hang out and when the sun sets send them off to their micro tent for the night. This is where it all happens in the Atacama Tent. The two opposing garage doors taper up from the bottom so you can ride any size full touring adventure bike with panniers straight through and park inside. If sleeping with your bike is not your thing stretch out and park chairs instead for coffee or meals. This vestibule is huge. One thing you'll have in common with other Atacama owners, you never knew how much you wanted to stand up in a tent until you could. Consider yourself warned, your friends will all want to hang out here. Let’s get all geeky for a moment. When a storm comes through and that deluge of rain hits rest easy, our tents are waterproof. To be more specific, at 4000mm hydrostatic head we set the gold standard. If your tent specs have less than 3000mm on the outer fly, it’s not expedition quality and barely useful for half hour of light drizzle. Read some of our testimonials to understand why we take this so seriously. Good poles are the difference between a round-the-world trip and a failed weekend music festival. We source and build the finest aircraft grade aluminum poles available. We have pre-bends in ours, so finely designed they have already been contoured to reduce the stress on them. Whatever your trip brings these are designed to bring you home. 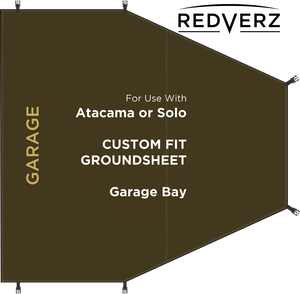 ATACAMA ACCESSORIES - Complete your Atacama set up with custom fit groundsheets for the sleep area and garage or a 50 liter dry bag to stow it all away. 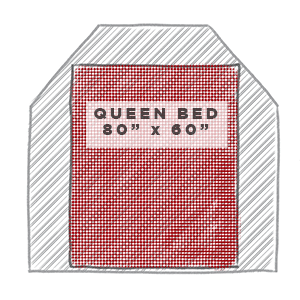 Pole diameter 11mm (2) 9.5mm (1) Section Length 20.5"
Rectangular floor plan optimizes usable space and ample sleeping bay accommodates 3 campers with the ability to sleep cross-wise or lengthwise and utilize cots for 2. Entire tent packs down to just 21"x10"
REDVERZ GEAR warranties the materials and workmanship in every REDVERZ GEAR tent to the original owner. If your REDVERZ GEAR tent has received proper care, but fails due to a defect in manufacturing, the parts will be replaced at REDVERZ GEAR'S discretion. Damages incurred due to accident, improper care or negligence where REDVERZ GEAR is not at fault, including sun degradation, mildew, wear and tear due to hard use are not eligible for warranty replacement. REDVERZ GEAR offers a 2 year, limited warranty to the original owner on all REDVERZ GEAR tent framework. This warranty applies only to the original purchaser. Proof of purchase is required. I took a MC camping trip through New Brunswick, CA and Cape Bretton, NS, CA to ride the Cabot Trail. The tent was easy to carry on my bike, cruiser, and provided a lot of room for me and my equipment. I did encounter rain, lots of rain on the trip, the tent did offer excellent shelter, inside never got wet. I have not tried to park the bike in the "garage" but what I enjoy is having that extra room to act as a canopy over me for protection from bad weather. I can sit in it, stand in it, use my little Jet Boil stove and lots of room to store equipment w/out having to share my sleeping area for such. I do recommend that people who purchase the tent, practice setting up and taking down a few times before actual use. The videos on this site are very helpful and remember, practice makes perfect. 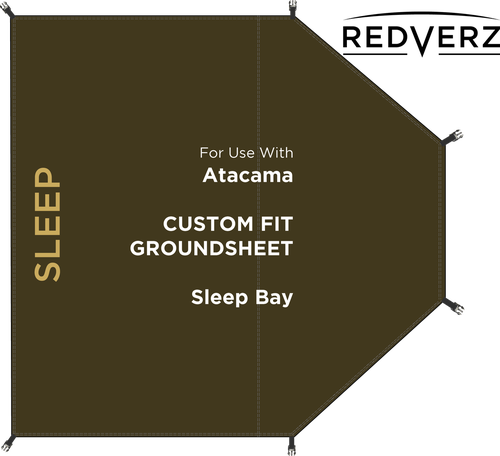 I look forward to other camping excursions with the Redverz Atacama Expedition MC Tent. I give this tent 5 stars. This tent is amazing! Super easy solo setup, and fits my klr with hardcases, all my gear, as well as enough room for two full cots. Have recommended it to everyone I know. Thanks guys for making such an awesome product! Pretty much echo what Michael wrote on 5/16. I bought the tent for a 3,000 mile trip I'm doing in August on my 2002 fully dressed Goldwing. Ordered it early so I could test it out. I put this tent up as soon as I got it and slept in it for four nights. It rained every night (of course) - one night pretty severe thunderstorms. YES - the wing fits in the garage - its tight - but it fits. The tent held up extremely well... not a drop in the tent or garage area. I was surprised how quickly it dried too... I also encountered the issue with snagging zippers... (and its just on two openings)... if you run your finger up in advance of the zipper - its fine. Not a big deal at all... The material there is important for waterproofing. This is easily the best tent I've ever owned and highly recommend it! This is my second tent and seems like they made it better. It has a sensible roomy area for sleeping in which each person has their own zip door. Before, I had to climb over my partner to get up or crawl thru the smaller back door vestibul. The mosquito netting is a 100% improvement and like the custom sleeping and garage area foot prints. The zippers still get snagged in the tent when opening and closing but overall the tent is a major improvement. First time camping and when we went to put stuff in one of the inner pouches it fell through. The only other thing is the outside zippers are too close to the lip which causes snags. Other than that, we love it! I purchased this tent when it first came out this winter. I have used it in two road trips with my BMW GS Adventure. It easily fits on my top case and I have plenty of room on the rest of my bike for my other gear. Fantastic tent! Easy to set up and great to have all the room! I can easily fit my cot and sleeping pad inside along with all my gear. I especially like the doors and my ability to easily stand up and enter and exit the tent. The garage area is ideal for using as a covered lounge and for changing clothes. Also a great space for cooking when the weather is not favorable. Plenty of room for my Kermit chair and table and more. Gives me a place to relax. 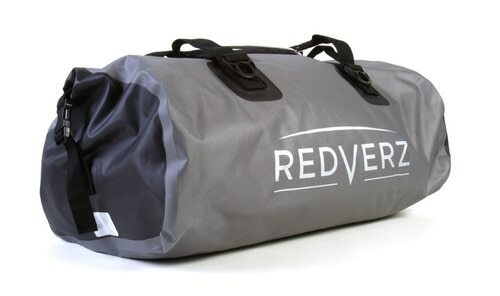 The Redverz waterproof bag gives me plenty of room for the tent, both ground sheets and more. Keeps everything protected and dry. If you like to ride and camp this tent in comfort, this tent is for you. I won't travel anywhere with out it.